Above are some cool pictures of my first Master Grade build, the XXXG-01H Heavyarms Custom from Gundam Wing Endless Waltz. I bought it as a way to sort of practice on a Master Grade build before diving in to the two long-term projects of mine, the RX-93 Nu Gundam v. Ka and the MSN-04 Sazabi v. Ka, which by the looks of it are probably the two best Master Grade kits, and they happen to be two of my top five favorite mobile suits. 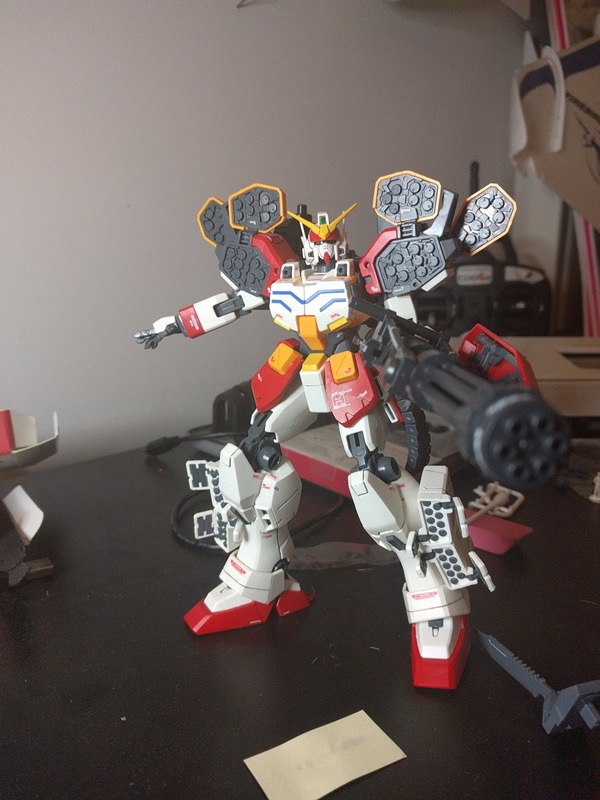 All in all, the Heavyarms kit feels like little more than an up-sized High Grade kit. 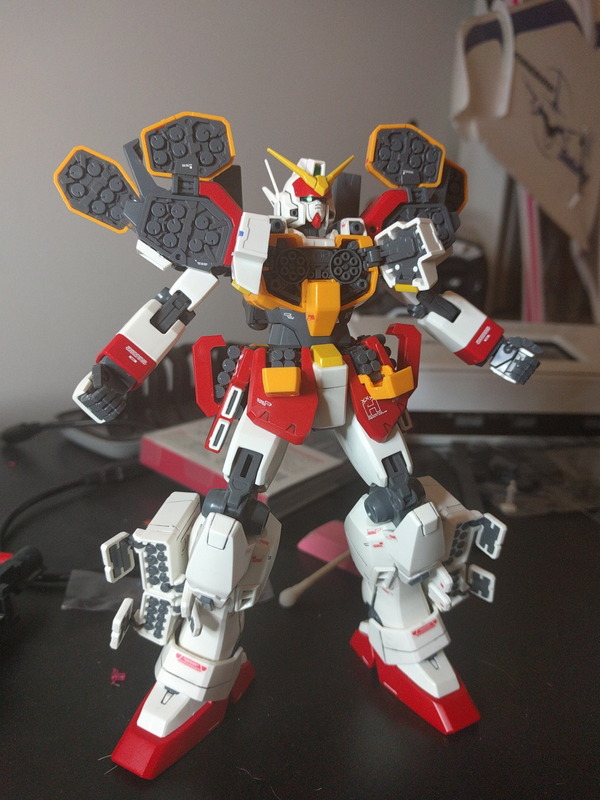 It wasn't a terribly challenging build, and I got the core suit built in a single evening. It has just a handful of weapons, but lots of moving parts. Damn near every flat surface in the thing turns in to missile pods which is pretty cool, but it simply felt unchallenging. It did, however, have water slide decals, which I mostly failed to put on properly, which means that I have some hope of getting the non-sticker decals of the Nu and Sazabi on properly. The design caught me by surprise, in that it feels decidedly non-canon. It's a strange mashup of the Gundam Wing version of Heavyarms and the Endless Waltz version of Heavyarms. 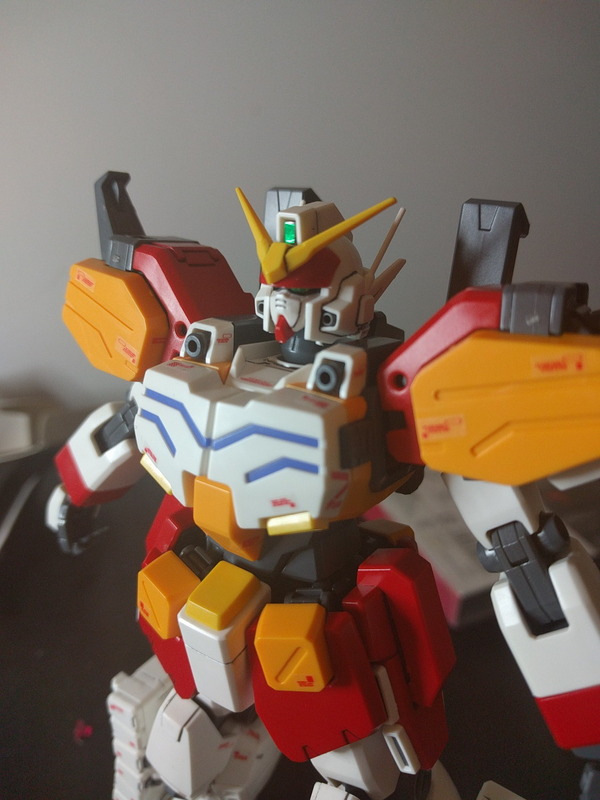 The colors are that of the Heavyarms from Gundam Wing. The design of the MS itself is that of the EW Heavyarms. 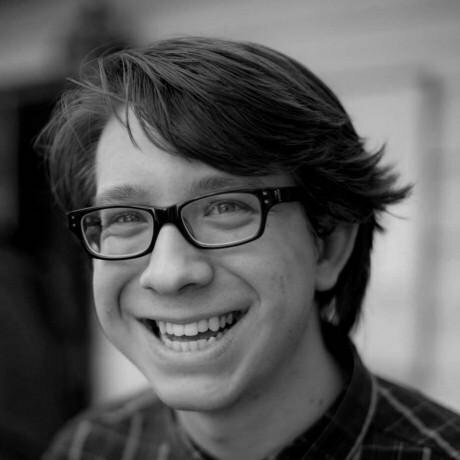 That is to say, it looks like this. 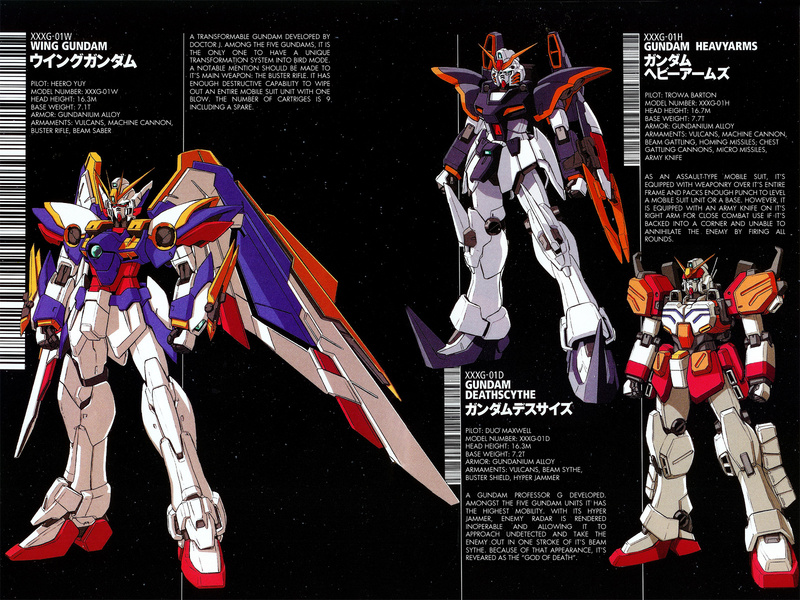 The weapons are also from Gundam Wing. It is however canon, just not the canon that folks expect. According to this post, it comes from Gundam Wing - Endless Waltz: Glory of the Losers which is a retelling of Wing. It makes me less caremad about it, but it still doesn't feel "right". There is a 1/100 High Grade of the EW Heavyarms that actually is the canon you want. It's probably about the same difficulty, as well. As someone who spent most of the last year putting together Real Grade models, I felt like this one was lacking, but if you're new to the hobby or looking for a larger High Grade style kit, this thing is pretty nice, and you can do some fun stuff with it. I used it as a chance to play with some new lining markers that I picked up at Michaels, and I think the effect was pretty nice, though I might have to come back and hit it with a clear coat. I give this item a 3 star review out of 5 stars.